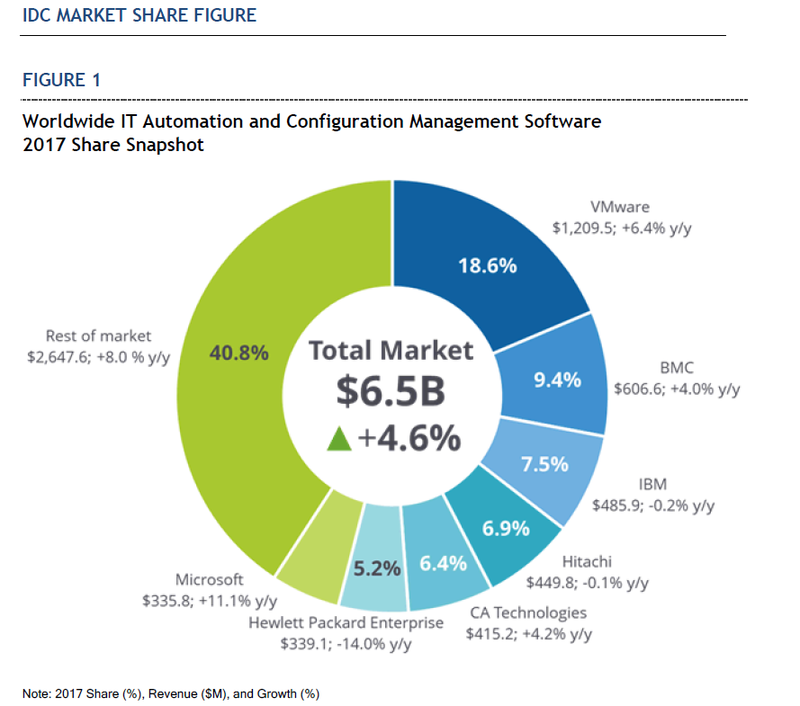 IDC: VMware Leads Market in IT Automation and Configuration Management Software - Möbius Business Technologies Ltd.
What is VMware Cloud on AWS? There are two key approaches that industry analysts take to rate vendors and position them on the competitive scale. One is based on the breadth of features, richness of addressed use cases, and viability and trustworthiness of the brand. These criteria are important as they give customers data that helps to select vendors based on functional and business requirements. Equally important though, is analysis based on revenue, market share and growth rate of vendors, as they demonstrate the mind share a vendor holds, availability of skills and talent in the job market, the eco-system built around this vendor, and other business-centric parameters. To that end, IDC has just published a brand-new report that provides a competitive analysis of the worldwide IT automation and configuration management (ITACM) software market for 2017. The study includes worldwide market revenue and growth rate for the total market in 2017 as well as vendor revenue, market shares, and growth rates of the leading vendors. According to IDC estimates, worldwide IT automation and configuration management software revenue grew by 4.6% to reach $6.5 billion in 2017. VMware was the market revenue and share leader in 2017, with $1.21 billion in revenue and 18.6% market share, reflecting 6.4% YoY growth. This is the first market share document for the newly defined ITACM software market, which incorporates revenue for software and SaaS solutions previously reported in the workload scheduling and automation software market, together with portions of revenue from the previous change and configuration management software market. The worldwide IT automation and configuration management software market achieved moderate growth in 2017. IT executives continue to invest in automation across infrastructure and operations and development teams. 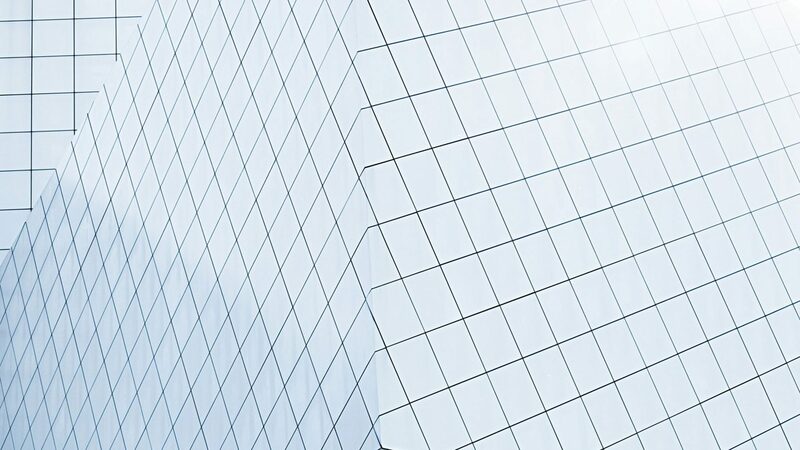 Private, hybrid, and public cloud investments, when combined with automation investments, are driving higher ROIs and faster business outcomes. We are happy to make the entire report available for you – feel free to download and share. The report contains extensive market analysis and data on all vendors who have at least $10 million in IT automation and configuration management software revenue in 2017. And while VMware is clearly positioned as the market share and revenue leader in this market, it’s important to understand that it’s not just the size, but also the scale of innovation, focus on customers, and ability to execute that clearly differentiates one vendor from another. For more information on VMware automation solutions, please visit the vRealize Automation page. The post IDC: VMware Leads Market in IT Automation and Configuration Management Software appeared first on VMware Cloud Management. Möbius are accredited as a VMware Enterprise Partner and HPE Silver Partner based in Reading. With our specific expertise, experience and specialisations in the Technology Systems Group arena. We also provide a simple and cost-effective route to acquiring HPE servers, desktop computers, laptops, monitors and peripherals for many of our customers.